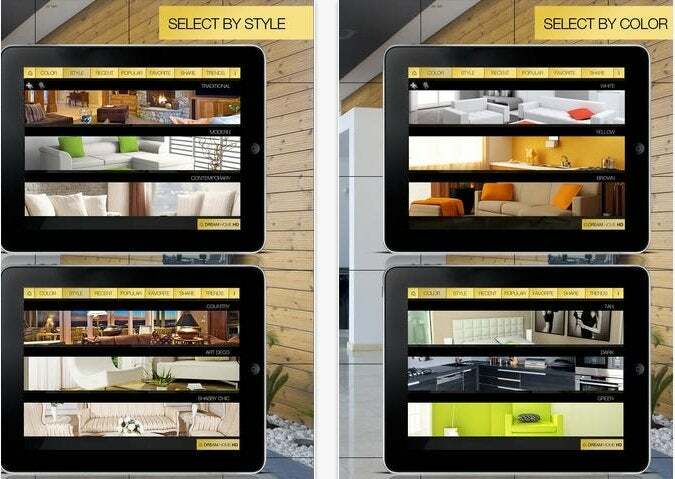 Turn your iPad into a half-inch-thick toolbox with these practical and informative DIY apps that can help you envision, design, and construct your dream home—or just renovate your all-too-real one. Big, clunky metal toolboxes are so 20th century. These days you can fit rulers, levels, manuals and even a whole squadron of experts into a box no larger than 7″ x 9″ and only half an inch thick. We’re talking, of course, about that wondrous box that is the iPad. With the right DIY apps deposited securely inside, it can become as valuable a tool kit as that ungainly one in your basement or workshop—and it’s a whole lot lighter. 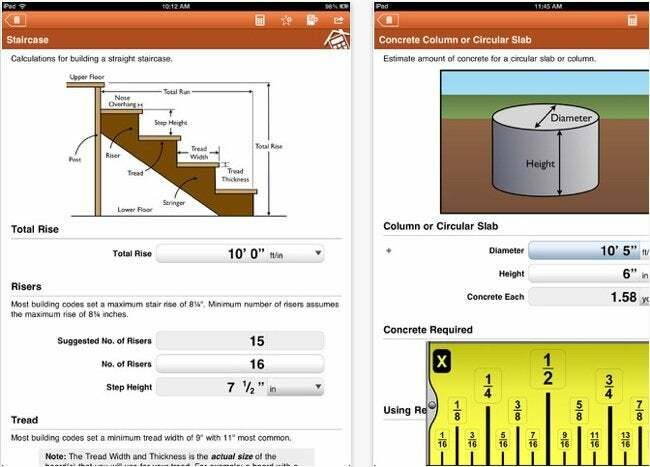 Here are five of our favorite home improvement apps for your iPad. Of course, we’re a little partial to this one. But even if it weren’t created by our chief, it would still make our top five list. Why? Because there simply isn’t another DIY app out there that takes such a complete look at the tools we use to make our homes more beautiful, safe, energy efficient and enjoyable. Just bring up the handy scroll bar at the bottom of the screen and choose your category: Measuring and Marking Tools; Cutting and Drilling Tools; Shaping Tools; Fastening Tools and more. Then within the category, drill down into well-written, entertaining information about the tools in that category. For example, pick Fastening Tools, then Hammers, and you’ll get tons of useful information about five different types of nail slammers. Handy tip buttons at the side of the screen call up useful skills you can learn in a jiffy. You’ll find quick audio tips throughout, and 18 short videos walk you through tool usage basics. 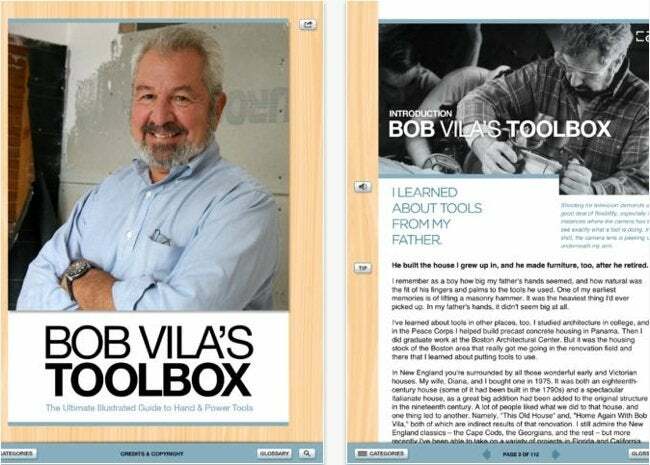 Bob Vila’s Toolbox is like a superinformative, well-illustrated instruction manual come to life, and it’s only $2.99! If you enjoy the sawing, sanding, and sledgehammering of projects but aren’t so keen on the math behind them all, then this DIY app is for you. It helps you calculate how much of pretty much anything you need for nearly any project. Installing a new ceiling fan? Enter the dimensions of the room and it’ll tell you what size to buy. Putting in a new fence? Tell the app how big the postholes will be, and it’ll spit back information on how much concrete to buy, based on whether you’re choosing ready-mix or pre-mix bags. (Look up the cost-per-bag online and it’ll even calculate how much you’ll need to spend.) Putting up drywall? The app will tell you not only how much to buy based on your space, but also how many screws you’re likely to need. Resealing your driveway? Yup, you can find out how much product to buy. This digital tool also tells you things like how much water a leaking faucet uses and how to calculate the volume of a variety of shapes. It even lets you convert between almost every conceivable unit of measurement. Home Improvement CALCS is like having a supersmart math geek helping you on every DIY project… without the awkward jokes! Plus, it’s another bargain at $1.99. It probably took many months to build your home, right? Well, you can rebuild it—or construct the house of your dreams—in about an hour, thanks to this whizbang DIY app. Start by inputting how many kitchens, baths, bedrooms and other spaces you’d like. Then drag the walls to the proper sizes and move the units around until they match up. Then comes the really fun part. Click to see the floor plan and move around windows and doors. Then choose the 3D view and you’ll be able to swoop down through the house, thanks to a cutaway dollhouse view. Select a room and decorate it with a wide variety of carpets, wall colors, and even furniture. Switch to the Walkthrough mode to wander through your computerized abode. Not only does the $3.99 Home 3D help you envision redecorating or remodeling your home, it’s also tons of fun for us house-obsessed types to try out different living spaces and decor choices for that “someday” castle. 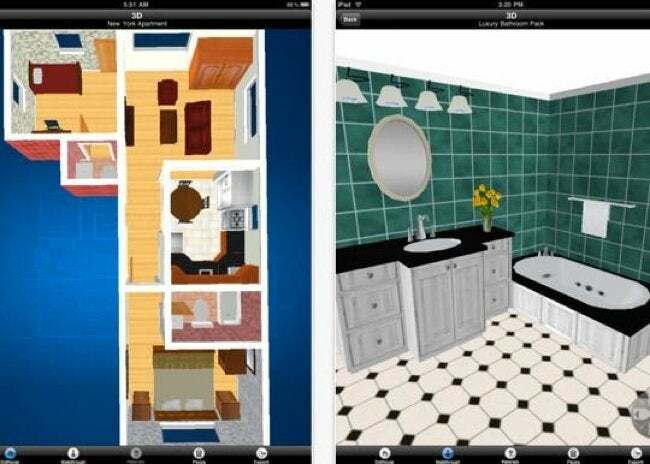 Speaking of dream homes, this DIY app is full of them. It’s basically a collection of home decor eye candy. By either scrolling through the images or letting a slideshow play, you’ll find oodles to inspire your remodeling or redecorating plans. (Warning: This app may arouse envy at how much talent and money other people have!) You can sort the photos according to room (for example, kitchen or bedroom), color (everything from tan to “wild bright”), or style (traditional, modern, or contemporary). Or you can simply view the photos that are most popular with the app’s users. Dream Home HD comes with a price tag of $4.99, but if you’re considering decor so deluxe in the first place, you can probably afford to splurge. 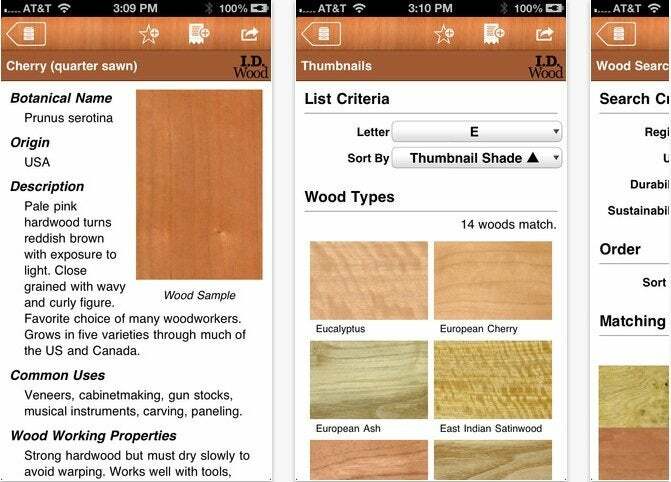 For the carpentry gurus among us—or for anyone who likes learning about trees—this DIY app is pure nirvana. It contains an extensive listing of the world’s woods, from Abacate to Zebrano, and gives plenty of information about each species. Click on Locust, for example, and you’ll find out that its botanical name is Robinia pseudoacacia; that it’s among the hardest commercial wood species in North America; that it’s aromatic when cut; has great rot resistance; is sustainable; and can stain when it comes in contact with metal. You also get a photo of each type of wood, in addition to its “Janka hardness” (the force required to embed an 11.28mm steel ball into wood to a depth of half its diameter). The reference pages help you with everything from lumber grades and sizes to plywood veneer grades. Plus, any entry or photo in the app can be easily emailed to your fellow wood worshippers. It might sound like a niche app, but it’s strangely addictive once you get going with it, so we think I.D. Wood is worth its $4.99 price tag.